A suspect has been arrested for allegedly shooting a man who was defending a woman he says was being assaulted. 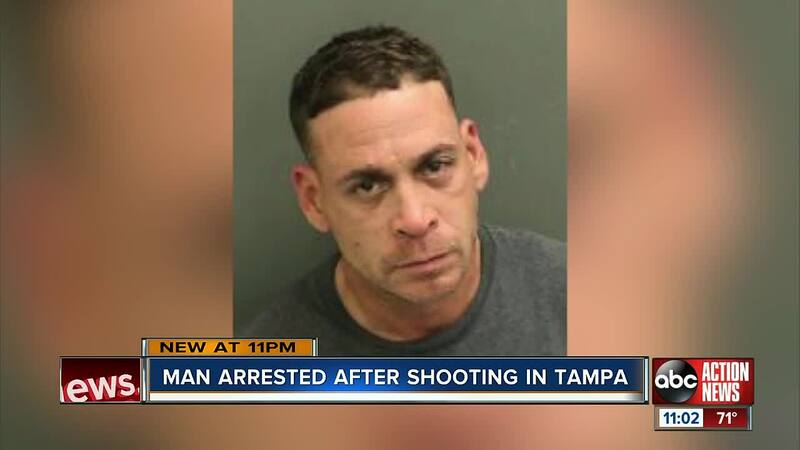 TAMPA, Fla. — A suspect has been arrested for allegedly shooting a man who was defending a woman who was being assaulted. Edward Nieves was arrested in Orlando and faces charges of aggravated battery with a deadly weapon and felon in possession of a deadly weapon. That Tampa father who was shot spoke to ABC Action News last week. 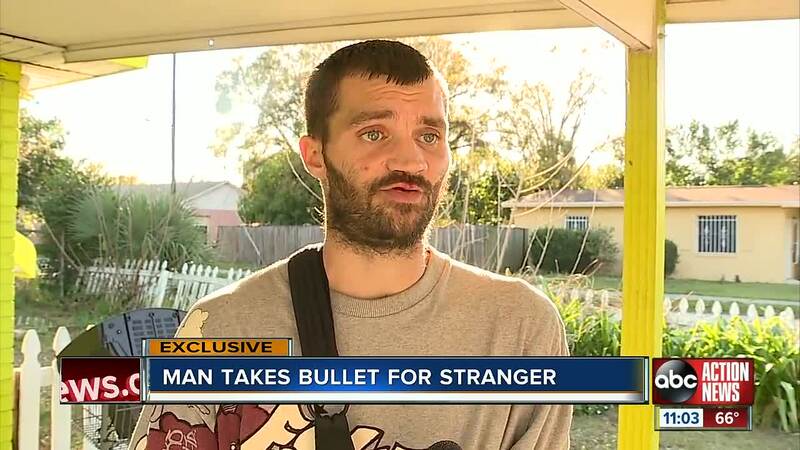 Jason Damon says he didn't think twice Saturday morning before jumping in to help a stranger outside the 7-Eleven on Dale Mabry and Spruce Street. Damon says that man threatened him before punches were thrown. The unknown suspect then went back to his truck to retrieve a gun. "Sure enough he shot me, and I went to go grab his arm that had a gun in it with my left arm and that’s when I figured out my left arm wasn’t working," recalls Damon. Six days after the shooting, Damon showed ABC Action News reporter Ryan Smith where the bullet is still lodged in his left shoulder. Damon is thankful the confrontation didn't cost him his life. It's a defining moment his son says he won't forget. "I was really proud to hear that he was standing up for someone else because if something like that’s going to happen at least some good can come from it," said Charles Damon.